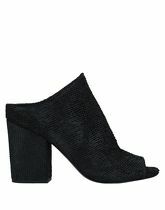 Heel height 4.68 inches; Soft Leather; leather lining, round toeline, no appliqués, square heel, printed leather, solid colour, covered heel. 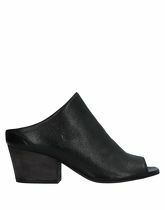 Heel height 3.71 inches; Soft Leather; square heel, solid colour, suede effect, buckle, leather, no appliqués, round toeline. 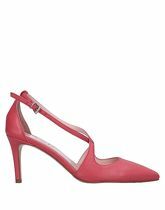 Heel height 3.9 inches; Soft Leather; covered heel, solid colour, laminated effect, round toeline, leather, no appliqués, square heel. Heel height 3.32 inches; Soft Leather; leather/rubber sole, square heel, laminated effect, round toeline, leather, solid colour, leather lining. 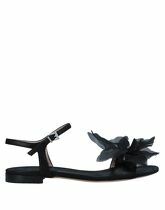 Soft Leather; leather lining, round toeline, flower application, flat, leather, solid colour, buckle. Heel height 4.29 inches; Soft Leather; stiletto heel, solid colour, nappa leather, zip, leather, no appliqués, round toeline. 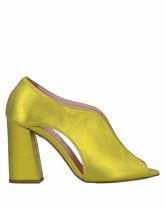 Heel height 3.9 inches; Soft Leather; covered heel, elasticised gores, no appliqués, round toeline, nappa leather, solid colour, stiletto heel. Heel height 3.12 inches; Soft Leather; wrapping straps closure, solid colour, nappa leather, narrow toeline, leather, no appliqués, spike heel. Heel height 2.34 inches; Soft Leather; round toeline, cuban heel, no appliqués, leather lining, leather, solid colour, leather sole. 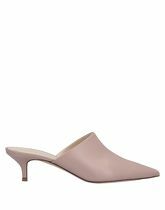 Heel height 1.95 inches; Soft Leather; leather sole, narrow toeline, no appliqués, spike heel, leather, solid colour, leather lining.